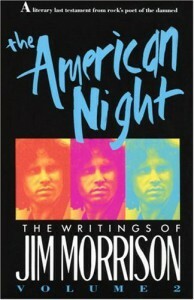 A collection of poetry, lyrics, and prose by Jim Morrison, lead singer of The Doors. I don’t feel qualified to talk about poetry in a greater, broader sense of the term, as in encompassing a whole genre. I don’t read enough of it to be able to do that. I can’t compare Morrison’s work to anyone, because I wouldn’t know how. I can only really talk about his work from the standpoint of being a fan of his music. If you wanted something grander than that, turn away now. One thing I can say is that with my unfamiliarity with poetry, I struggle to find where I want to start. Frost and Dickinson always left me feeling bored and then utterly shocked when people said their work meant this or that when I couldn’t see it. Shows what a layman I am, saying that. But it also leads me into how this book made me feel. Morrison spun his words purposefully and well. His imagery was crisp and raw, and it evoked so much emotion. The meaning behind what he meant to say was never lost on me. 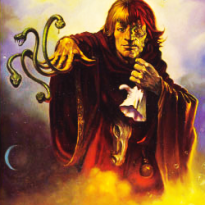 Even though it was psychedelic and strange, it was charged with an energy that you will instantly grasp as you read. He doesn’t hide a deeper meaning behind anything pretty, and most of the poems here have a transgressive leaning, all of which I appreciated. I found I couldn’t read it in one sitting because it was almost overpowering, which I mean as a compliment. If you’re interested in 60s counterculture or transgressive literature of any kind, this is a good find. And as you can see, even the uninitiated in the poetry world can find an easy in here.